The encounter between MAGA hat-wearing students and a Native elder was &apos;not surprising,&apos; says the openly gay Covington valedictorian who was barred from speaking at graduation. 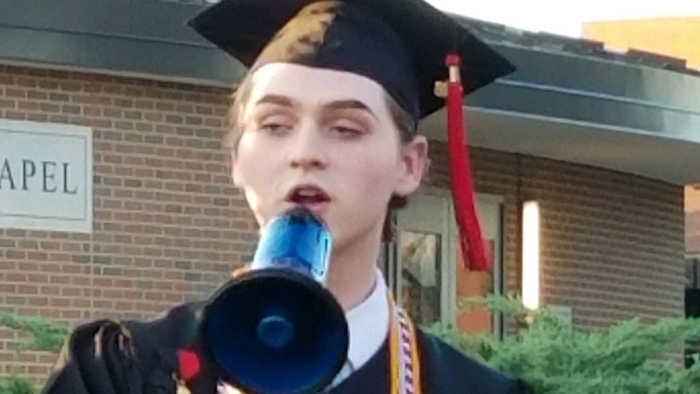 This video, &quot;&lt;a target=_blank rel=&quot;nofollow noopener&quot; href=&quot;https://www.nowthisnews.com/videos/news/gay-covington-valedictorian-dc-controversy-was-not-surprising&quot;&gt;Openly Gay Covington Valedictorian Says D.C. Controversy Was &apos;Not Surprising&apos;&lt;/a&gt;&quot;, first appeared on &lt;a target=_blank rel=&quot;nofollow noopener&quot; href=&quot;https://www.nowthisnews.com&quot;&gt;nowthisnews.com&lt;/a&gt;.